I’m so thankful that Spring is in full swing with Summer just around the corner. This is one of my favorite times of year. 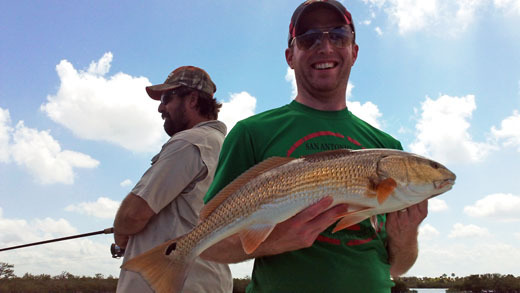 Mild weather and many different species of fish to chase makes for some really fun days around the Tampa Bay area. Right now the trout fishing is juts about as good as it gets. 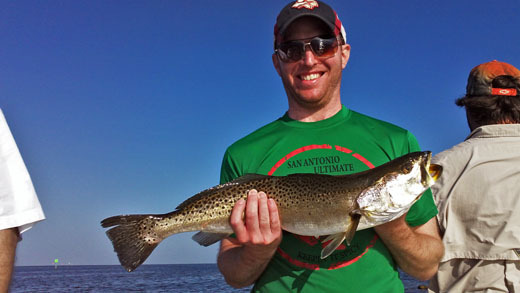 Trout are everywhere in the New Port Richey and Tarpon Springs area. Over the last couple of days, we’ve caught trout in the 18-24″ range at just about every spot we’ve stopped at. Trout are a lot of fun to catch as they can make some pretty explosive hits on our baits as they chase them to the surface. They put up a real nice fight when they are over 20″ long and they taste really good on the grill. 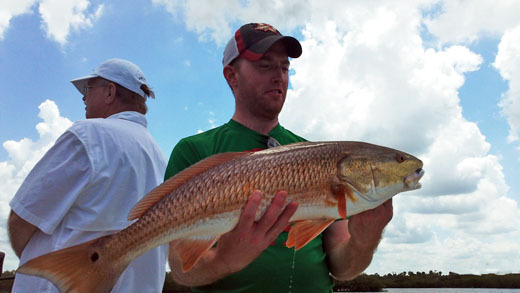 We’re not getting into huge numbers of redfish but we are getting huge redfish. 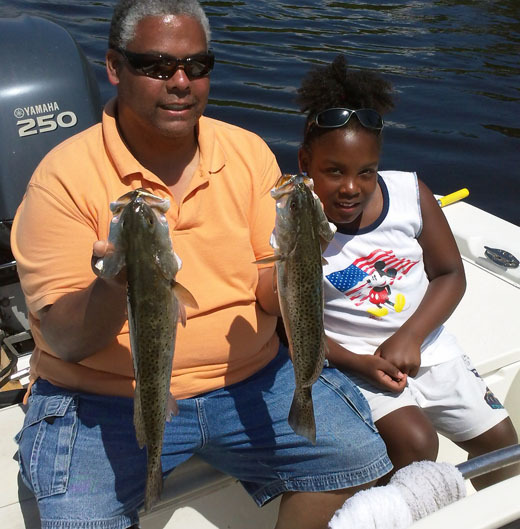 We’ve caught fish from 5-22lbs in the last week or so and most are averaging 8-9lbs. We’re getting them pretty consistantly at the mouths of creeks and even in some of the deeper back country areas. 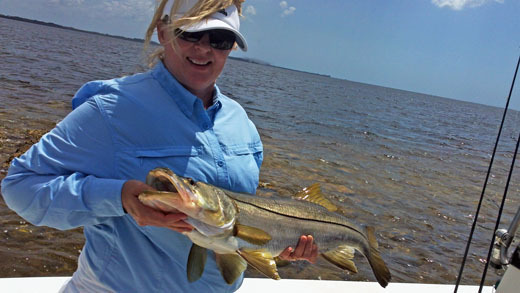 Snook have been a pleasant surprise this spring. 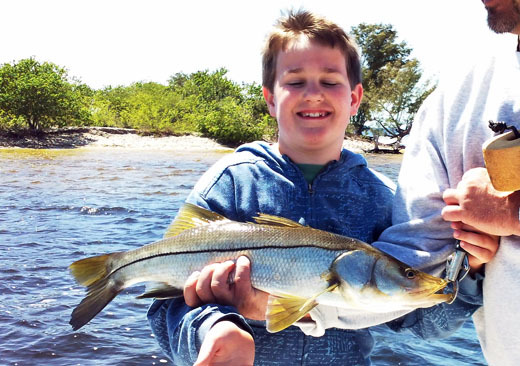 We’re getting a few nice snook on just about every trip. Just like the redfish though. We’re not catching a ton of them but they are really big, drag screaming fish. There’s all types of fishing going on right now. That’s what’s so great about this time of year. 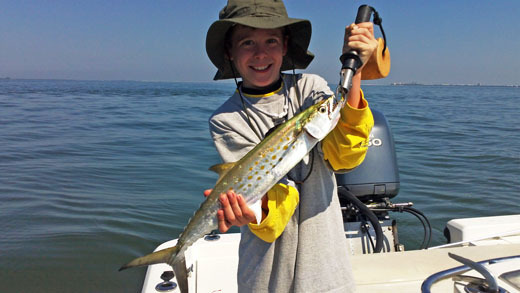 We’re catching spanish mackerel, sharks, redfish, trout, snook and more. We’re seeing even more than that each trip. I’ve seen bull sharks, tarpon, cobia, sea turtles, porpoises, eagles, ospreys, sea turtles, manatees…. it’s really is an exciting time to be on the water. You just never know what you might catch and what you might see. Don’t forget, tarpon are here. Right now! My first tarpon charter is this coming Friday and from then on, it’s game on. If you’re ready to catch a 100lbs+ of fury and adrenaline, the time is now. 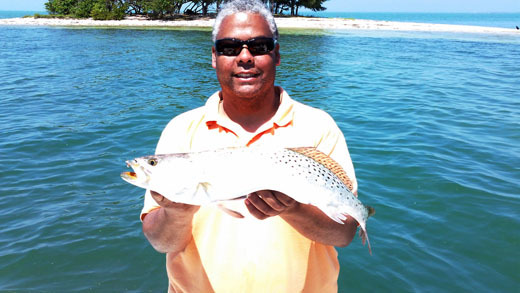 Give me a ring to schedule your next Tampa Bay Tapon Charter.